After the virtual machine guest operating system configuration is complete, we go about installation of Integration services. Hyper-V Integration Services is a suite of utilities that enhance the performance of the virtual machine’s guest operating system. Integration services improve management of virtual machines by replacing generic operating system driver files for the mouse, keyboard, video, network and SCSI controller components. In VMware, VM Tools is used for these purposes. 1. 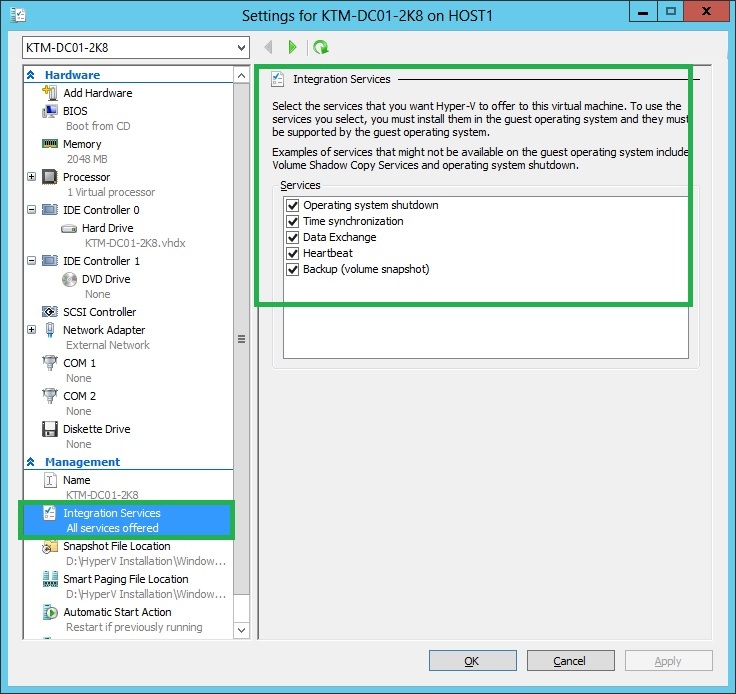 In the Hyper-V Manager Virtual Machine pane, right-click the virtual machine and select Connect. 2. Log into the virtual machine using an account with the local administrator credentials. 3. 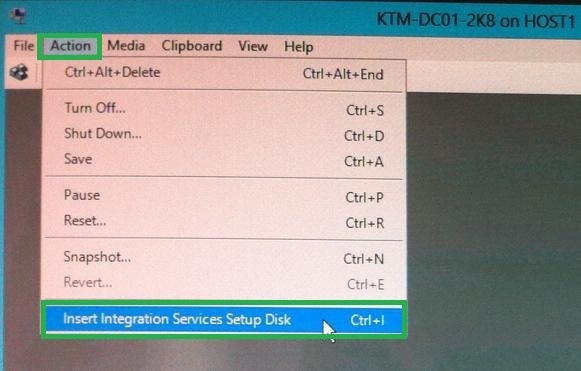 In the Virtual Machine Connection application Action Menu, select Insert Integration Services Setup Disk. 4. 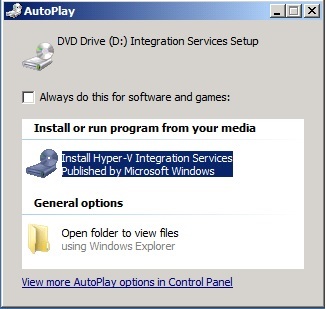 Select Install Hyper-V Integration Services in the AutoPlay dialog box and press Enter. 5. In the Upgrade Hyper-V Integration Services dialog box, click OK.
6. When prompted, click Yes to restart the virtual machine. Integration Services is necessary for optimized use of virtual machines in a single machine where the resource appropriation and management will play a vital role in giving your virtual machines a desired performance and save you the trouble of finding appropriate drivers and their installation without much hassle.